It is time for that wonderful day...Easter Sunday! 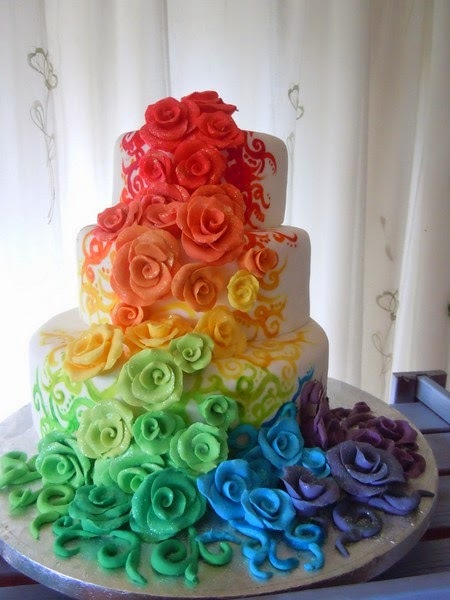 I like serving a beautiful and colorful cake just for that day. 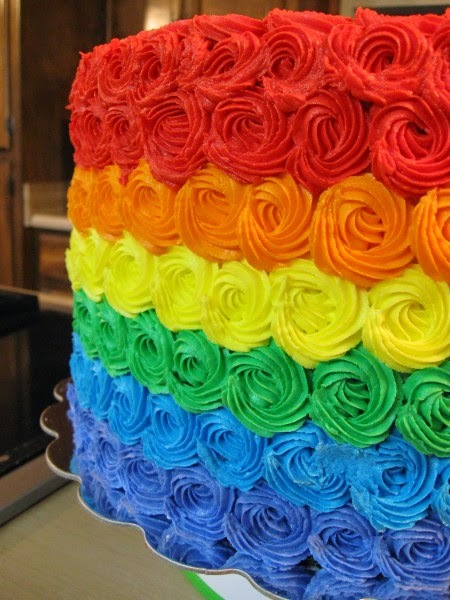 My family love this cake because it has a unique favor and color as well. 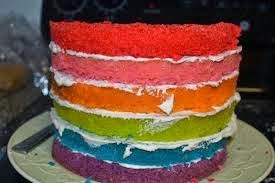 I use Jell-O favor in every layer. Choose your family about 5 or 6 favorite Jello-O mix. 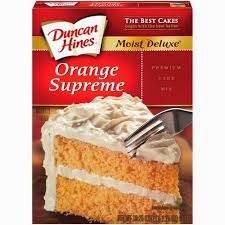 Next buy Dancan Hine Cake mixes. you can really match these favors and add more bold favor to the cake mix with using the Jello-O. You'll get the Picture....so on and so. 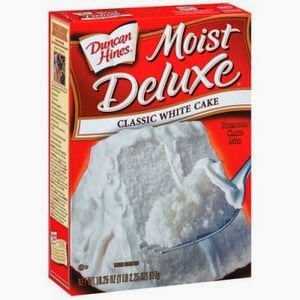 (If you use one box of cake mix. 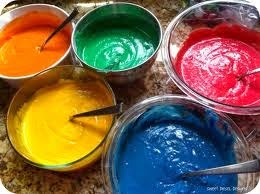 follow cake mix direction and put half in a bowl and add just 3 tablespoon of Jell-O to each bowl and bake. 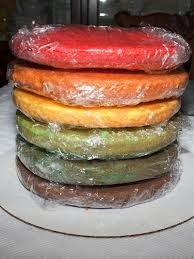 you can also wrap them and keep them frozen until you are ready for them and save time. 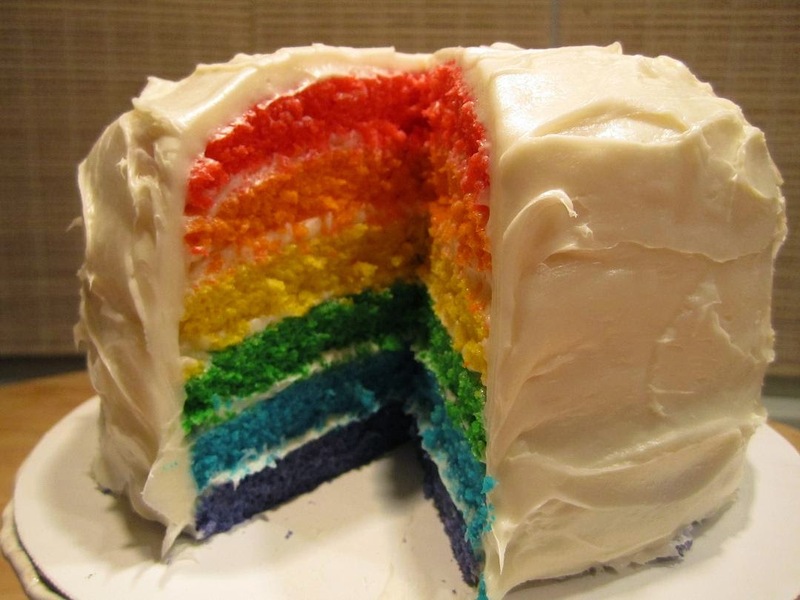 Or just no color icing at all. 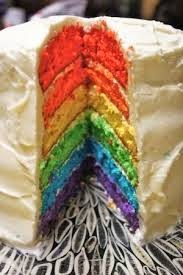 Easy Almond Buttercream Frosting: Prepare as directed above, use 1/2 to 3/4 teaspoon almond extract instead of the vanilla. Yield: about 3 cups. Easy Chocolate Buttercream Frosting: Prepare as directed above, except use 4 cups confectioners' sugar, 1/2 cup baking cocoa and 6-7 tablespoons milk. Yield: about 3 cups. Easy Lemon Buttercream Frosting: Prepare as directed above, except use 5-6 tablespoons lemon juice instead of the milk and 1 teaspoon grated peel. Yield: about 3 cups. Easy Orange Buttercream Frosting: Prepare as directed above, except use 5-6 tablespoons orange juice instead of the milk and add 1 teaspoon grated orange peel. Yield: about 3 cups. Easy Peanut Butter Frosting: Prepare as directed above, except use 1/2 cup peanut butter instead of the butter and use 6-8 tablespoons milk. Yield: about 3 cups. Easy Peppermint Buttercream Frosting: Prepare as directed above, except use 1/2 to 3/4 teaspoon peppermint extract instead of the vanilla. Yield: about 3 cups. 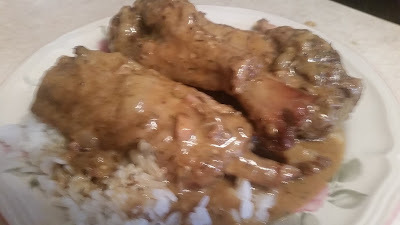 you can get real fancy.